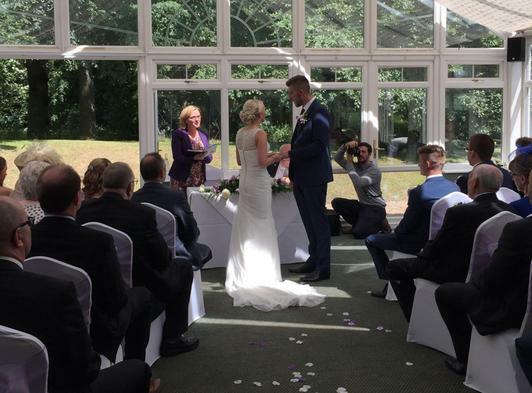 Our light and bright conservatory is licensed for wedding ceremonies. The conservatory holds up to 70 guests seated but others are welcome to stand. You have a choice of room for your reception. 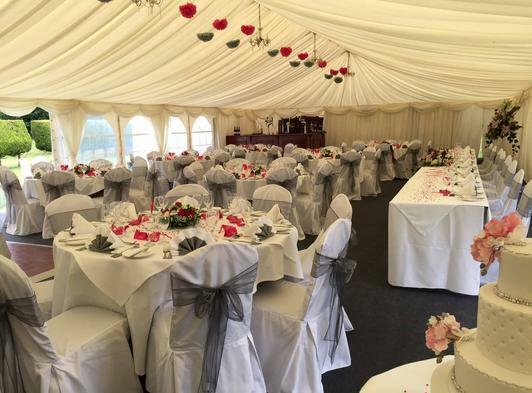 The conservatory lends itself to a more intimate wedding breakfast, seating up to 60 guests. 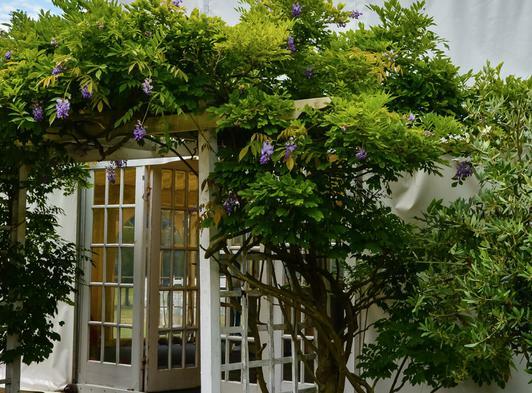 Beautiful in the summer but equally so as a romantic candlelit venue in the cooler months. 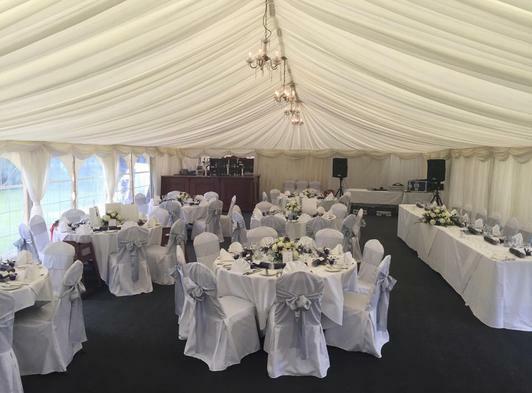 Our marquee is the perfect place for you and your guests to come together to celebrate. It is a permanent fixture at Scarborough Hill, with its own bar, and can be heated if necessary. 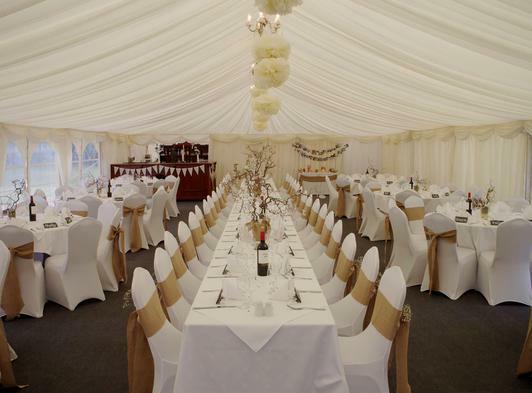 The marquee comfortably seats 100 people. One of the things we enjoy most at Scarborough Hill is taking your ideas and turning them into reality. We will happily work with you to create your perfect menu. 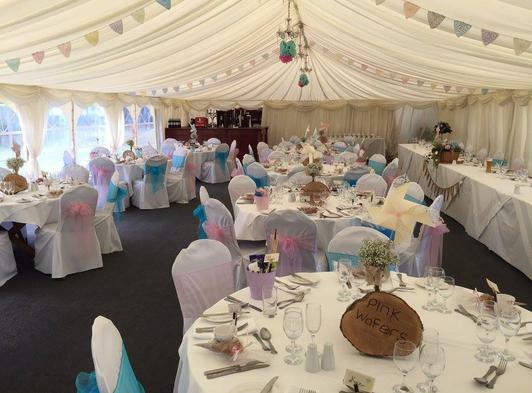 It doesn't have to be a formal sit down meal, we can also arrange barbecues, hog roasts or an elaborate buffet. 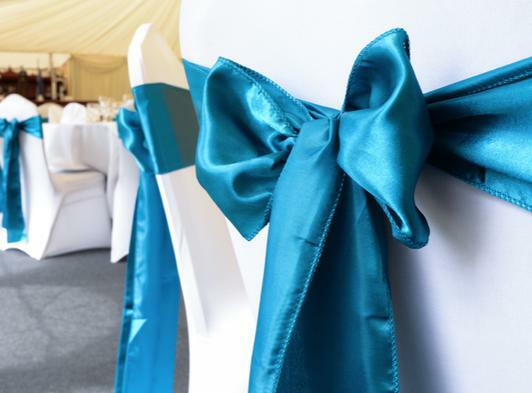 We offer a number of all inclusive packages plus the option of creating your very own bespoke package whatever your choice we will be here to help make your wedding weekend exactly as you want it to be. 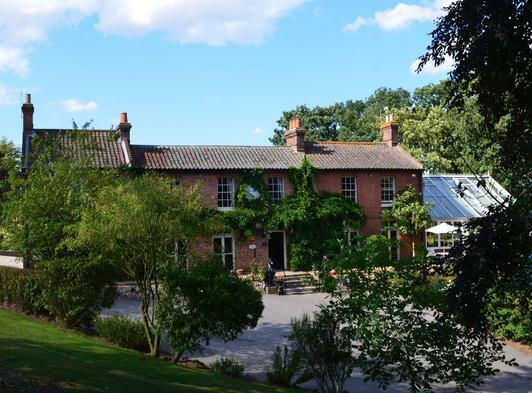 Please contact our team on 01692 402151 to discuss your plans in further detail and arrange a visit.